It’s easy for us humans to stereotype some animals as ruthless, mindless, and cruel, but even the most ravenous killers and slimiest parasites can be gentle and nurturing when they need to be. Families really do come in every shape, size, and color you can imagine. Cockroaches are among the most loathed of all animals in human culture. To be fair, only a handful of the nearly 5,000 documented cockroach species show any interest in sharing their habitat so closely with humans. 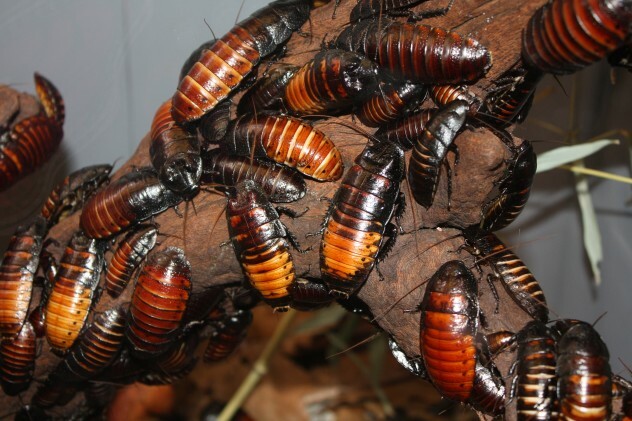 While not nearly so colonial as ants or bees, roaches do tend to form close-knit circles of family members and “friends,” foraging together and even suffering “isolation syndrome” if separated from the roaches they know best. Many cockroach species also demonstrate active parenting, the most impressive of which are members of the Thorax genus; unable to fly, the female’s wings are permanently fused into a dome-like shield—under which she carries her nymphs. 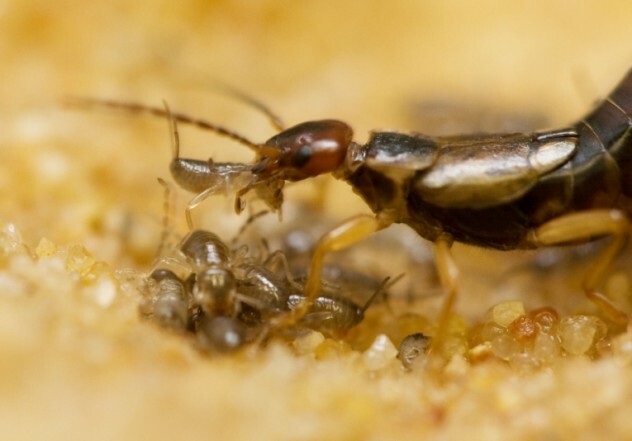 Using special fang-like mouthparts, they feed by slicing open their mother’s back and drinking her blood. How delightful. 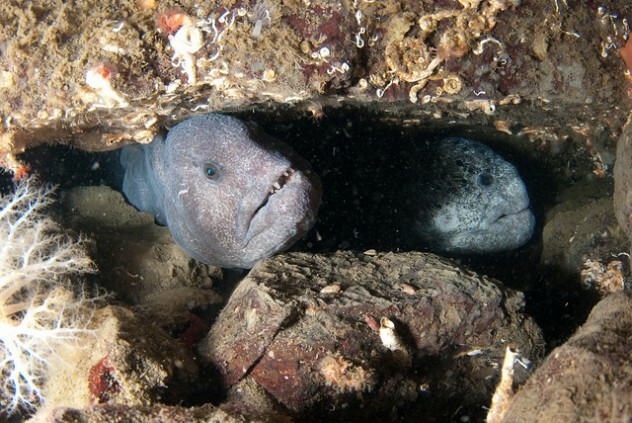 Not a true species of eel, the wolf eel is a formidable carnivore, whose jutting teeth and powerful jaws allow it to crack open even the toughest shellfish, crabs, and sea urchins. Despite their seemingly monstrous nature, these predators are among the few fish who mate for life and watch over their eggs as a couple. The female will keep her serpentine body wrapped around a clutch of 10,000 eggs for up to four months, while the male spends most of his time wrapped around his mate for an added layer of protection. Even after the young leave the nest, the two sea monsters will typically share their den until death. 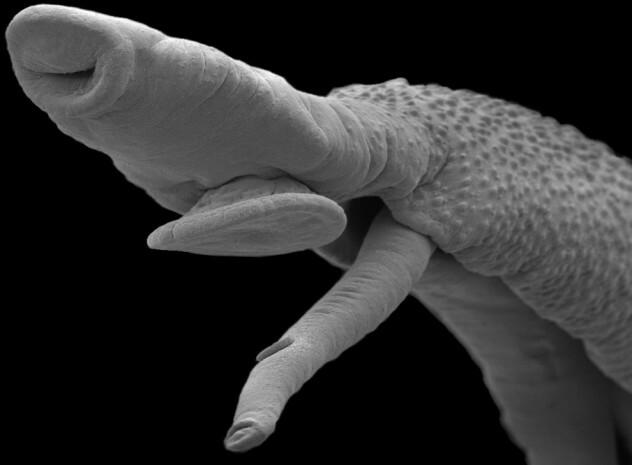 Blood flukes are the microscopic, parasitic flatworms responsible for schistosomiasis, one of the most widespread and debilitating parasitic diseases known to man. But it’s hard to stay mad at something so romantic. While most other flatworms are hermaphrodites, blood flukes come in distinct male and female sexes, and once they mate, they rarely part ways. The broad, flat male folds his body lengthwise along the thinner, whip-like female, and the two may remain in this embrace for life, snugly spooning forever as they float along the bloodstream of a giant. Like other arachnids, scorpions have a reputation as voracious carnivores and heartless cannibals, but many arachnid groups demonstrate better parenting than some of us mammals. And scorpions may be the most caring eight-legged moms of them all. In fact, several scorpion species can be considered somewhat social. 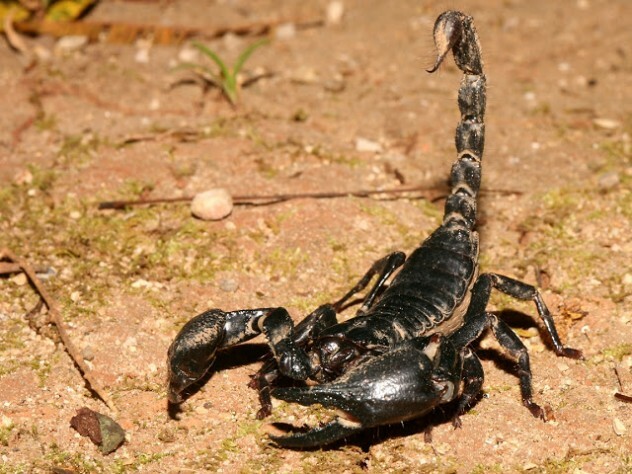 A mother scorpion will carry her young on her back for several months, feeding them pieces of her kills until they’re old enough to hunt on their own, and they may stay close to her for years to come. This active nurturing of each new generation is likely a reason these amazing survivors have roamed our planet for the better part of 500 million years, though the deadly venom and jagged claws might have helped. 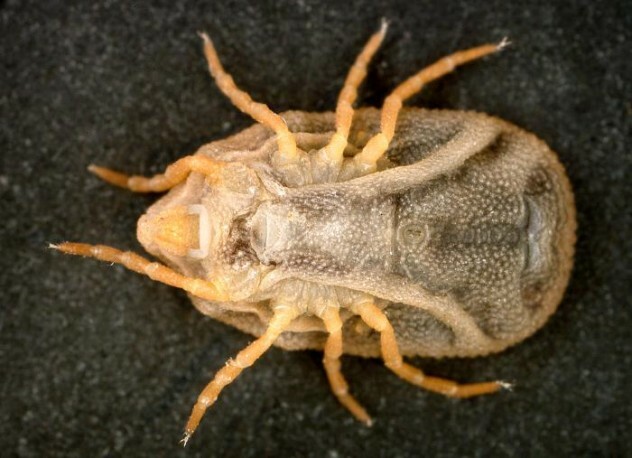 Even a parasitic mite can be a loving mom, at least in the case of the bat tick. Unique among ticks, the adults have no interest in blood. Instead, they feed on bat feces, which tends to pile up on the walls and floors of caves. However, the young require blood to develop, so their mother carries them up the cave walls to feast on the sleeping bats. When the family dinner is over, all the little ones will pile back onto their mama and return to the safety of the cave floor. 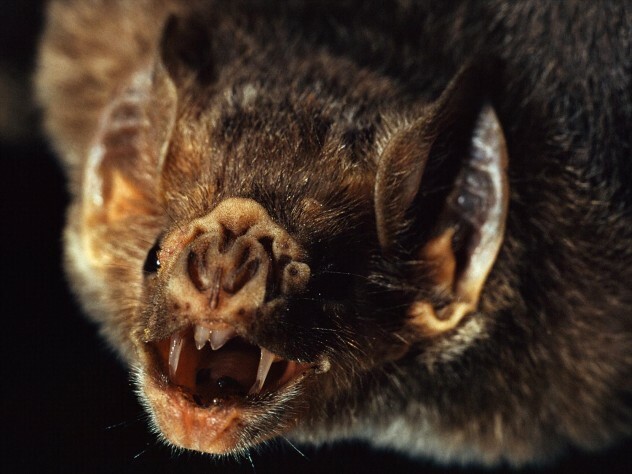 Speaking of bats, the three species called “vampire” bats are best known for being the world’s only parasitic, exclusively blood-drinking, mammals; however, this is far from the only way these creatures are special. They’re also some of the few mammals who will actively share food among unrelated members of their community by regurgitating some of their collected blood. It’s an important survival strategy for an animal that can die of starvation in a little over 48 hours. 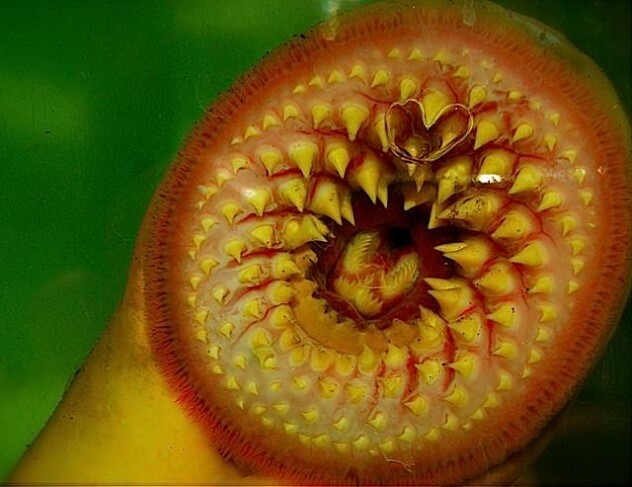 These ancient, jawless creatures are infamous for their grotesque, sucker-like maws lined with dozens upon dozens of razor-sharp teeth. It’s one of the most ghoulish predators out there, but even these slimy vampires can care about their young. After a mass migration, a mated pair will use those same suckers to move the smooth stones littering their spawning grounds. Sometimes, neighbors will even help a mated couple. Soon after, the adults weaken and die en masse. 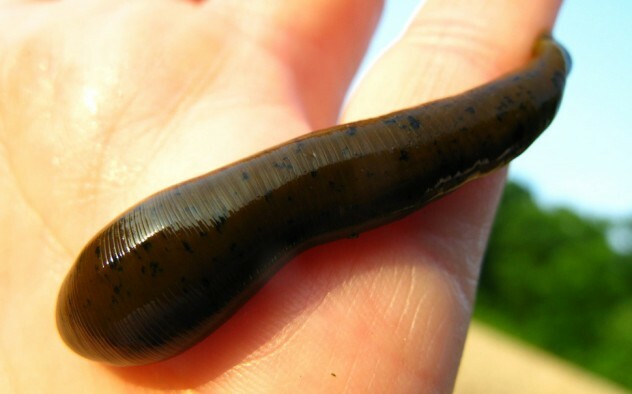 In the Rhynchobdellida, or “jawless” leeches, parents will allow young to latch onto their underbellies and transfer them from one host to the other, usually a freshwater turtle. What is it about blood-sucking animals that seems to bring out such impressive paternal instincts? Stomatopods, also known as mantis shrimp, have enjoyed increasing popularity in recent years, and it’s easy to see why. These unique crustaceans are beautifully colored, alien in appearance, remarkably intelligent, and armed with some of the most terrifying natural weaponry in the ocean. Their claws are capable of blasting a small fish into meaty chunks, shattering a glass aquarium, or cracking bone. Unusual among invertebrates, these killing machines are both long-lived and monogamous. They remain the only known crustaceans to care for their young as a couple. A mated pair may even live in the same burrow for 20 years or more, raising multiple generations of young. Jonathan Wojcik is a cartoonist and biology nerd who runs bogleech.com.